As brand founder Kirsten Kjaer Weis succinctly puts it ‘While my foundations have buttery soft moisturising properties, they also feel light as air. The end result is perfect-looking skin.’ Formulated with moisturising and age-defying ingredients, this foundation melts into skin and offers ultimate control – smoothing on a little gives a subtle sheen, while building colour can achieve up to concealer-worthy coverage. 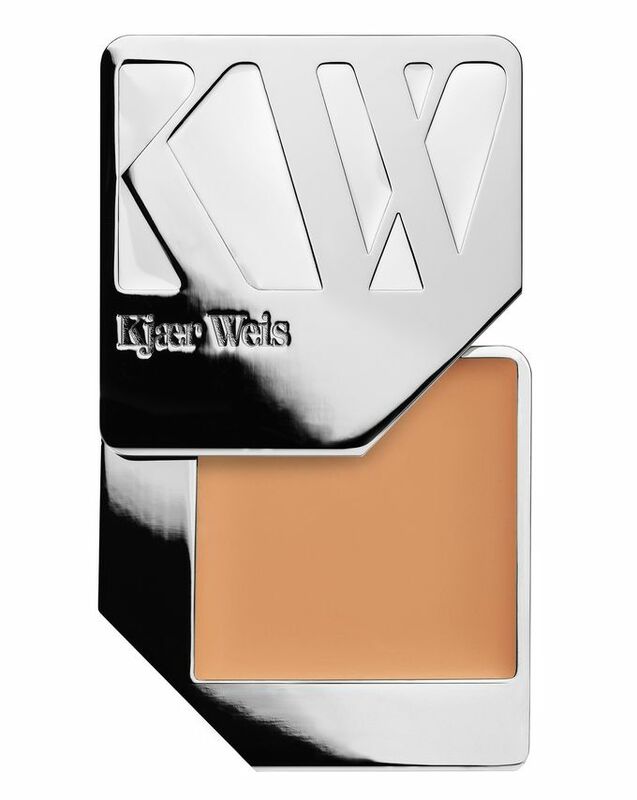 Encased in a shining silver compact, Kjaer Weis Foundation is where flawless, adaptable colour coverage meets moisturising skin care. 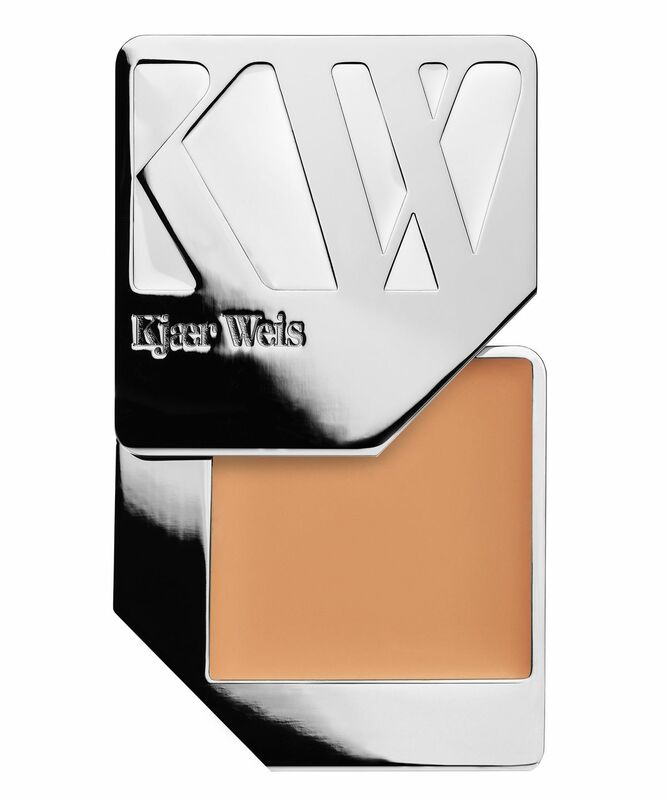 The buttery soft formula melts into the warmth of the skin, and can be easily adjusted depending on the look you want to achieve – for a subtle, tinted moisturiser-style sheen, just a little is required and this can be built upon to reach concealer levels of coverage, all the while maintaining a velvety, semi-matte finish. Enriched with all natural oils – sweet almond, coconut and jojoba seed, which is rich in fatty acids to promote skin elasticity and reduce signs of ageing – the formula offers effortless moisturisation and anti-ageing. In nine shades – from pinky, fair ‘Lightness’ to rich, gold ‘Delicate’ – there’s something to suit a spectrum of skin tones. Finally found perfect color match. The coverage is so natural. This cream foundation is perfect for my sensitive, always red skin.